The originals were round; the square reflectors were developed later. If his name had been Chadwick or Gormley or Jones, it’s doubtful that anyone would associate the man with his achievement. As it is, Dr. Elbert Botts doesn’t exactly rank with Sir Isaac Newton and Bill Gates among the giants of science and technology. His invention was the raised pavement markers that separate traffic lanes on streets and highways; because of the coincidence of his name and their shape, they have become widely known as Botts’ Dots. In the 1950s, Botts was employed by the California Department of Transportation (Caltrans) at a testing lab in Sacramento. Painted lines tended to disappear in rain or darkness, and had the additional disadvantage of requiring frequent repainting, so Botts began searching for a safer and more durable alternative. That idea was soon scrapped and various formulas of epoxy were tried. Eventually one was found that permanently adhered the lane markers to asphalt or concrete. The next step, apparently, was to stuff the entire concept in a file drawer and forget about it. Elbert Botts had come up with the idea in 1953, but it wasn’t until 1966 that the dots were finally put into use on California freeways. An additional benefit of Botts’ Dots was discovered soon thereafter. When a driver is drowsy or preoccupied with yelling at the kids in the back seat, the raised markers announce that the car is drifting into the adjoining lane. They are now widely used throughout the world, except in areas that get a lot of snowfall. The equipment that removes snow from roadways also tends to scrape off Botts’ Dots. 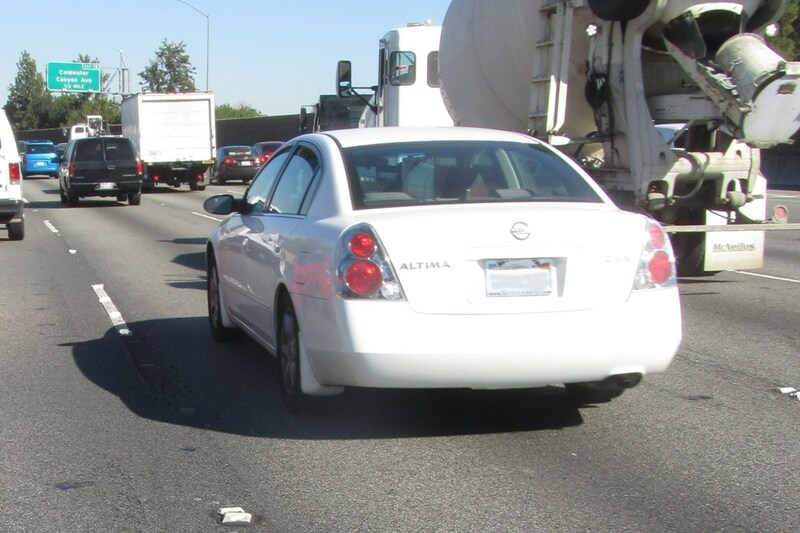 According to the Caltrans website, “There are an estimated 20 million Botts’ Dots in place today” — and that’s just on freeways and highways in California. Unfortunately for the heirs of Dr. Botts, the legend that he got a small royalty per dot and therefore became fabulously wealthy is untrue. In fact, Elbert Botts died in 1962, before the pavement markers that bear his name were put into use. He never knew that his innovation was successful, or that they gave him a bit of immortality. As durable as they initially proved to be, the increase in the volume of traffic since the dots were introduced has reduced their life span. In some places they still last for over ten years, but on heavily-traveled sections of road, they now have to be replaced after only a few months. Although it insists that Botts’ Dots “will be with us for a long time,” Caltrans has begun experimenting with longer-lasting, higher-visibility alternatives. Among them are reflective strips that are essentially baked onto the roadway. It’s probably too much to hope that the chief engineer on that project is named Parker… you know, so that someday we’ll call them “Parker’s Markers”. This entry was posted in Science and tagged Botts' Dots, Elbert Botts, raised pavement markers. Bookmark the permalink. Anything that will increase road visibility when it’s raining cats and dogs in the Northwest will be welcome. On our recent trip to Hawaii, we noticed on the windward, wet side of the island the main coastal route had white markers to mark the lanes and red markers on the sides. This made a road without any overhead lights easy to navigate at night. In some places, red Botts’ Dots are used to indicate that the driver is on the wrong side of the road! You may have also noticed an occasional blue reflective marker. These are for the benefit of fire engine drivers; they are placed on the road in direct line with a fire hydrant.